Ans : SEO is the technique of optimizing your website and getting it placed in the high ranking of search results. It is on of the most sought after mode of Internet Marketing. Why is my site not appearing in search results? Ans : Possible reasons for your website not appearing in search results can be: Your website is not SEO friendly or is not indexed by search engines Hopefully your website is not black listed for spam or abuse Use of some scripts may be blocking search engines from indexing your website Not been submitted properly Your site is not having optimized content. My website is visible in search engines only for my company name and few specific keywords? Ans : Sites which are not optimized properly are prone to such issues were in you can see your website for your company name eg. : "Savit Interactive" or for some specific key phrases like "SEO Company Kandivali" but when you search for competitive key-phrases like "SEO Mumbai" or "SEO India" your site does not rank. In such case you need to target less competitive key-phrases or optimize your website to beat your competition. How much time does it take to place my website in Top 10 rankings? Ans : Generally one can say that 30 - 90 days period should be good enough for you to start appearing in top search engine ranks. But this cannot be true for very competitive key-phrases. Do I need to continue your SEO services, post period of contract? Ans : This completely depends on your decision; generally 90% of our clients renew our SEO services. 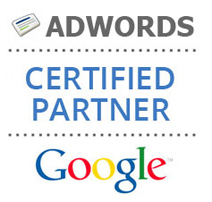 The reason we suggest you to do so, is to maintain and further improve your SERP's. As discontinuation in SEO efforts will in most cases allow your competitors to out perform you very easily. What will be the number of enquiries or sales I can expect once my site is optimized? Ans : We cannot predict the number of enquires or sales, as the number will vary based on the industry, business, product, etc. What we should look at, is the % of improvement when compared to the past figures. Once optimized, will my site only rank on Google? A SEO company has promised me results in 24 - 48 hours then why can't RANK CLICKS do the same? Ans : In most likely case the company is selling you PPC services in the name of SEO, they will place your site in sponsored results in search engines. Generally an organic search engine ranking requires reasonable time; yes it can be achieved in 24 to 48 hours time but only on highly indexed websites Eg. News Website. Will my site get banned due to Rank clicks SEO effort? Ans : Search Engine's black list a website because the website has abused the search engine algorithm or has adopted some unethical SEO practices to gain quick results. Our SEO process is legitimate and respects the search engine algorithm and is designed to enhance your site performance. We can ensure you that with RANK CLICKS, your site is in safe hands and will never get black listed or banned. My site's rankings have fallen, what now? Ans : Don't Panic, search engine ranks are bound to fluctuate and possible reasons for the same are: Your competitors are not sleeping. Some of your inbound links were filtered out or devalued. Search Engines have introduced new search engine algorithm. On-site or server problems. Your Site is Banned or have received penalty.